General Overseer Dr. Tim Hill unveiled the Praying for Pentecost initiative during a Facebook Live session on April 12. He has announced several items, opportunities, and events surrounding the period. Hill announced there will be an opportunity for those wishing to participate in Praying for Pentecost to go online and sign up. 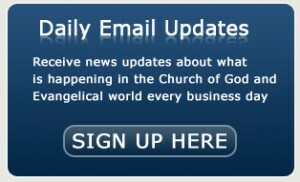 An electronic form is located on the Church of God website (www.churchofgod.org) and clicking on the dedicated graphic.